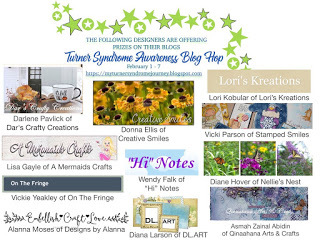 Welcome to my project for the "It's A Girl Thing" Turner Syndrome Awareness Inaugural Blog Hop!! Here is my card.....CHECK IT!!! I created this card using this STAMPlorations set HERE!! Tenia ~ Thank you for being a part of this Blog Hop! Your card is beautiful with all those flowers and I love that sentiment! I really love your card, can you please let me know the stamps you used.. they are so pretty..
Beautiful card Tenia - I love that sentiment too! Such a fun card in the TS color palette. Super cute! Gorgeous and Happy, Tenia! I especially like your dancing use of TS colors! Leaving you with wishes for a wonderful day. Love this clean-and-simple card -- your style is so fun and amazing! I love how you always add washi tape and stitching! What a gorgeous card! Love your unique identity of adding Washi tape and stitching to all of your cards! 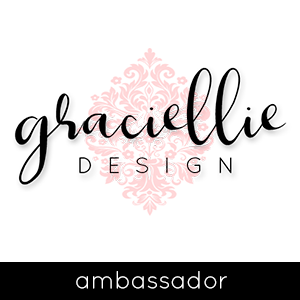 Beautifully created with a very pretty design...love it!! I love the brightness of this card! Thanks for the inspiration. Gorgeous card! I love your design. This is such a fun card! Love the sentiment! 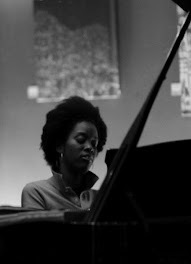 This is lovely, Tenia. Always enjoy your pretty cards. I love this Stamplorations set; have to put it on the wish list. Such a FUN design! I love the flowers! Thank you for bringing awareness to this syndrome and being a part of this hop! I think this is a great design! this bloghop was so fun, all the varied cards and techniques! 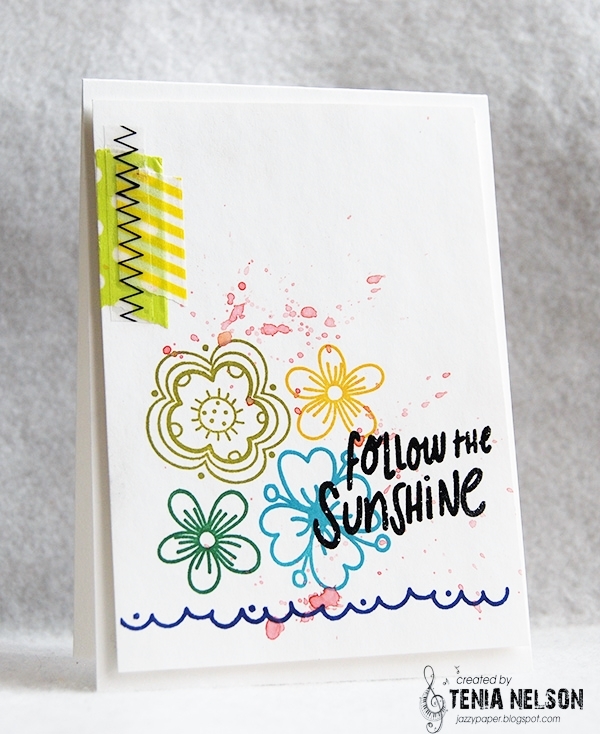 your card is lovely with the embossed flowers, fun with the strokes of tape on the left! love it! So pretty! Love the composition. Bright, cheerful AND pretty! Good job on this one, Tenia. 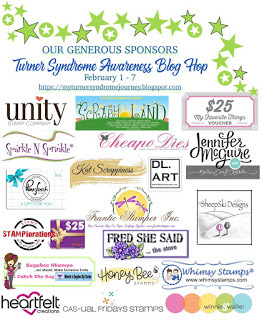 Thanks for helping spread the word about Turner Syndrome. Awesome design Tenia! Just beautiful! Thanks for helping spread the word about TS! What an uplifting card! I love the clean look and that fun little scalloped border! Great sentiment & design. Your card is awesome & unique. Thank you for sharing your work through the hop. A beautiful card, Tenia! 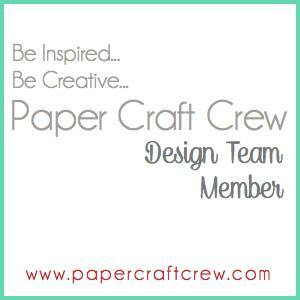 I love that you always add the washi touch and I love that it is clean and simple. TFS! I am loving your CAS design and the bits of washi tape! Lovely card! I like ve the stitching on to side. Great job! 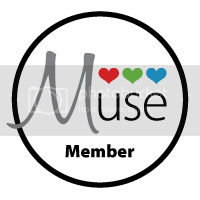 This CAS card shows off the Turner Syndrome colors SO beautifully, Tenia! The touch of washi tape and the stitching is a great touch! I love the delicate flowers, too! All in all, a fabulous card! I love the pretty stamping!! A beautiful card! Great card Tenia!! I love how it's like a BURST of energy!! The electric washi with the zap of stitching really adds to that! I love the fun fonts in the Stamplorations "It's a girl thing" sets!!! Before you even read what they say they look like fun!! Pretty card! I love the flowers and the colors! Thanks for taking part in the hop to raise awareness of Turner Syndrome! Awesome card. Simple but oh so sweet! Such a fun and colorful card! 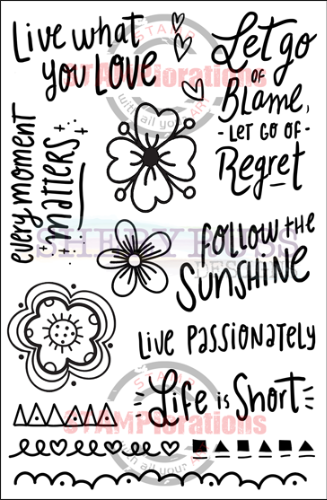 Great stamp set and sentiment. Your card design is very happy! Thanks for taking part in this inaugural hop for Turner Syndrome Awareness. Clean and simple and perfect for this special hop! Tenia this is such a beautiful and fun CAS design. I love it! Fun, happy and playful card. Fabulous design! Sweet card, fun colors too! Tenia, beautiful card. I love how you used the Its a girl thing set. Great placement of the flowers. Super fun and cheerful card!!! Wonderful!! Your card is so sweet and adorable! Love it! I love your card, tania! it's one of my favorite from the entire hop! The colors look so sharp against the crisp white! Thanks so much for being a part of this important hop today! amazing card, I just love your design. 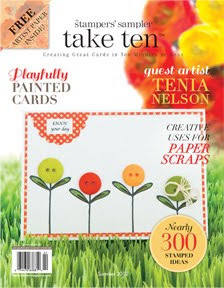 Your cardmaking style is so inspiring for me, Tenia! Love the stitching on this card!! Your card is really elegant . Thank you for taking part in the Inaugural Turner Syndrome Awareness Blog Hop to make us aware that such a condition exists among girls. Thank you for encouraging these butterflies to fly. May you be blessed with gd health and happiness always. Hugs and loads of love from Sri Lanka. Like your clean and simple vibe! Your pops of color make for a very cheery card. I like the sentiment you chose. Lovely simple card! You are an Angel for being part of this hop!